Scarred physically and emotionally from a dog attack at age nine, Aaron Cassidy has spent the last seven years breaking out in a cold sweat at the mere sound of a bark in the distance. Days after he receives his driver’s license, he decides to challenge his bone-deep fear once and for all. Volunteering at the Happy Endings Animal Foundation gives Aaron a new sense of purpose. Here he’ll face his fears and learn to love man’s best friend. When an abused pit bull with scars mirroring his own arrives at the shelter, Aaron cannot even be in the same room without lapsing into his familiar, paralyzing terror. 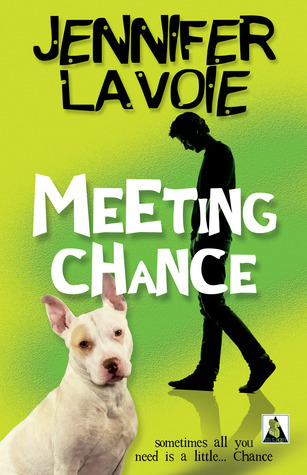 But as he gets to know the wounded animal, and the two learn to trust again, Aaron finds that sometimes all you need is a little...Chance. My first through about this book after reading a while is that it's really juvenile, the I realize that Aaron is only sixteen and is acting just like a normal sixteen year old would. I think I'm damaged from all the sixteen year old in paranormal YA that behaves more like an adult and walks around and saves the world on a daily basis. However correct Aaron's actions and reactions may be it was a little bit to young for me. Aaron is overall a very likable character but there is nothing special about him that has me falling in love and cheering for him. There is so much to him and calling him bland would be so completely inaccurate it's not even funny but he just doesn't get to me. At times I'm like "Yay, you go Aaron. Good choice" and at other "What the heck did you do that for? It was completely uncalled for and not to mention offensive", so yeah, I had a hard time connecting with him. Who really made this book is Finn. He could have his very own book. He's so strong and determined to get out from under his crappy parents wings and make something of himself and I sincerely applaud him for that. Wishing for something better than you have is easy, actually doing something abut it is not, but it is admirable. I loved the plot of book and I want to like it so much more than I do because it touches some very tough subjects and does it so very well. It has a great approach to childhood traumas and resulting phobias, coming out to your friends and family and different levels of acceptance as well as flat out homophobia. 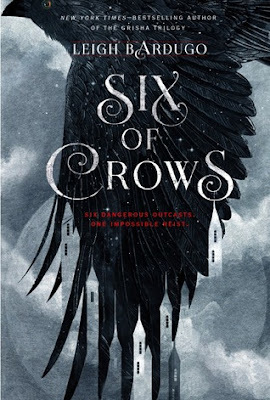 And all that is done so remarkably well it honestly hurts me not to connect with the main character so I can say that I love this book. 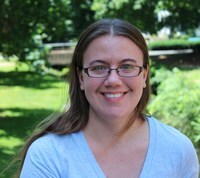 Jennifer Lavoie lives in Connecticut in the same city she grew up in. While growing up, she always wanted to be a writer or a teacher and briefly debated a career in marine biology. The only problem with that was she’s deathly afraid of deep water. Starting during a holiday season as temporary help, she worked in a bookstore for six years and made it all the way up to assistant manager before she left to take a job teaching. Jennifer has her bachelor’s degree in secondary English education and found a job in her town teaching middle school students. Along with another teacher and a handful of students, Jennifer started the first Gay-Straight Alliance at the school. She is also active in other student clubs and enjoys pairing students with books that make them love to read. To reach Jennifer, contact her here through Goodreads or by any method below!